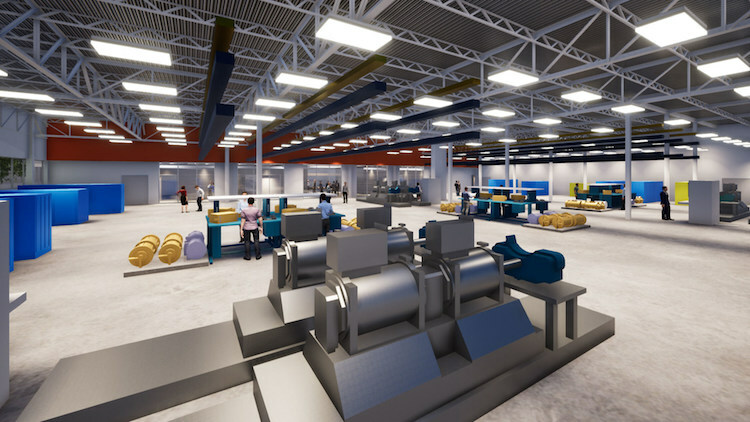 A new $50 million high-voltage lab, “The Grid,” being built by Collins Aerospace in Rockford, Illinois, will serve as the design and testing center for developing a 1-megawatt (MW) motor, motor controller and battery system for a hybrid electric demonstrator aircraft. 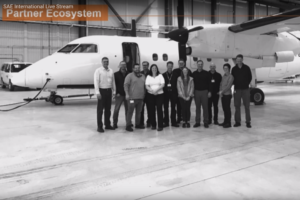 Executives from Collins Aerospace provided a tour of their existing aircraft power and electronic systems manufacturing and testing site in Rockford and discussed plans for The Grid with media on Thursday, April 4. 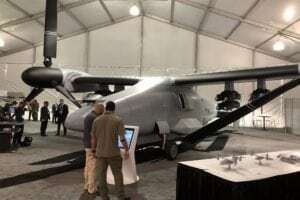 Collins Aerospace CEO Kelly Ortberg said the company wants to use the lab to start designing and testing hybrid electric propulsion technologies for next generation business, commercial, military and urban air mobility aircraft. Collins expects to have the 25,000-square foot facility’s four independent modular electric power systems labs fully operational by 2021. The first mission for engineers at The Grid will be to support the development of a hybrid electric power system for Project 804. That project will see the re-engine of a hybrid-electric X-plane by UTC’s new startup-like organization, United Technologies Advanced Projects (UTAP). The Project 804 team is using a Bombardier Dash-8 that will feature a two-megawatt hybrid-electric engine on one side as its future demonstrator aircraft. During a presentation of what The Grid will look like in the future, Ortberg discussed new research results produced by UTC showing how they expect the use of hybrid electric and eventually fully electric aircraft power to improve fuel efficiency and reduce aviation carbon emissions. 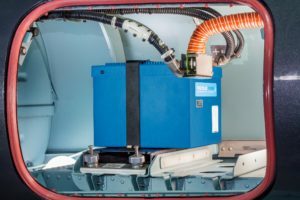 “Our internal UTC studies indicate that commercial electric and hybrid electric propulsion could reduce by aircraft noise by up to 85 percent, can improve fuel consumption by up to 40 percent, can reduce carbon dioxide emissions by more than 20 percent and reduce airline operating and maintenance costs by up to 20 percent,” said Ortberg. 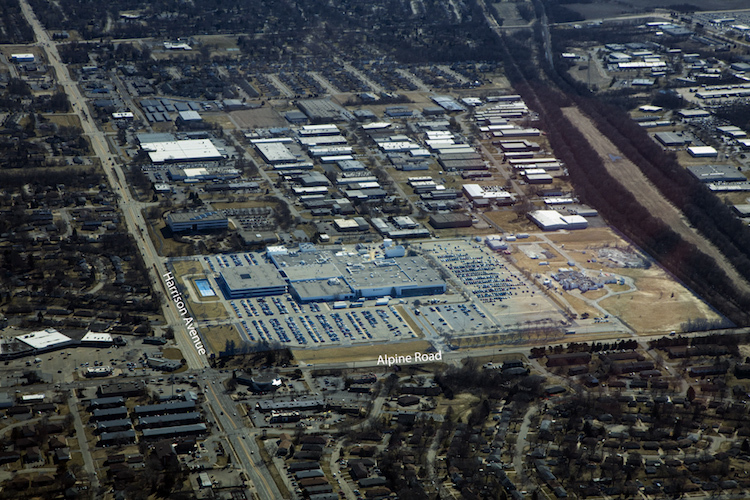 The $50 million lab by Collins is part of a larger $150 million investment Collins wants to make in the development of electric aircraft systems over the next three years. 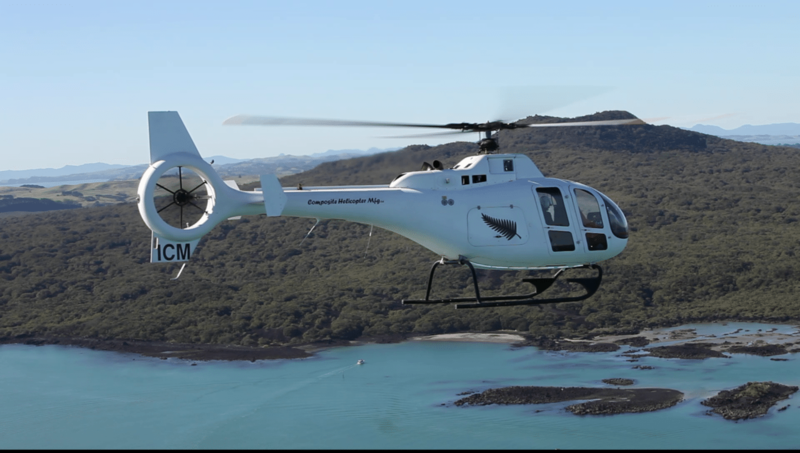 While the four independent labs will not collectively become fully operational until 2021, the Grid will have initial capability for testing electric aircraft propulsion within the next 12 months, according to Tim White, president of power and controls for Collins Aerospace. White, who spoke with reporters after the press conference, said Collins will leverage its experience providing electrical power systems for the most electric commercial aircraft currently in service today, Boeing’s 787. The 787 is equipped with six Collins Aerospace generators collectively generating nearly 1.5 megawatts of electrical power, replacing many of the aircraft’s traditional hydraulics and pneumatic power systems. However, a major goal for the Grid will be to go well beyond the 270 voltages of electric power utilized by the 1.5 MW of power that the 787’s generators are capable of producing, according to White, who was the chief engineer for electric power on the Dreamliner. That will require the use of more robust dynamometers—instruments that measure the power output of an engine—to evaluate the type of motor, controller and battery system being developed for Project 804 at the Grid in the future. “On the 787, those are megawatt class dynamometers, we’ll have double the capacity dynamometers for the grid, testing up to 2 MW of power. 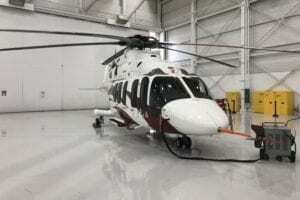 The other critical infrastructure change, most aircraft today, the voltage levels for those systems are up to 270 volts, and so this lab will have a capability of testing components at the kilo-volt level for aircraft,” said White.